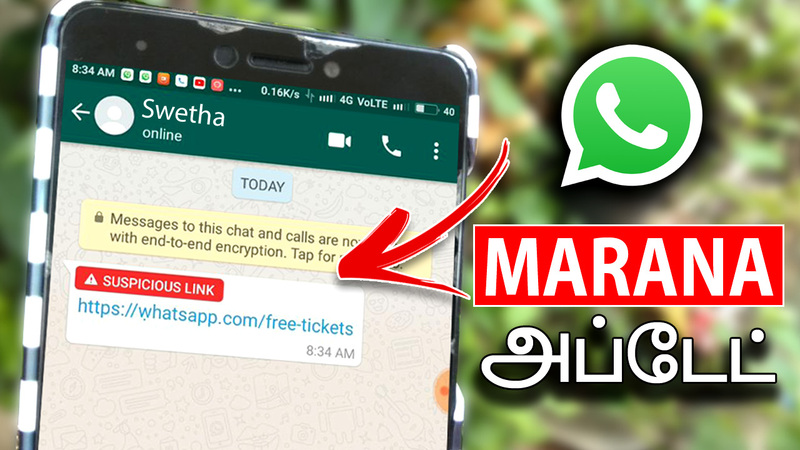 Hi, friends today in this post we have to see that a new feature in WhatsApp. Please share this post with all your friends. In WhatsApp, all days friends will send any links to see a website or products purchased. Some of the links are good and some of them are bad. Most of the peoples did not know that the links are bad. They enter into that website and after that their mobiles will hang or struck. To find that type of bad links WhatsApp give and best feature. Here we can see that special one. In this new release, if anyone sends any links, if that link is bad WhatsApp will highlight the link is bad. From this, we can easily identify the bad links. This feature is very useful for no educated peoples. They only mostly enter into the unknown links sites. After this feature, most of the peoples are safe from what types of links. The new feature is download from the given option here. After that install it. It will automatically install above the normal WhatsApp. Doing the new feature in WhatsApp will active to all users.